Thanks to the Explore Indochina guys. Your operation is first class all the way. You guys know all the best route, best food, best accommodation. The guide "Brad", as in Brad Pitt, is great guy. 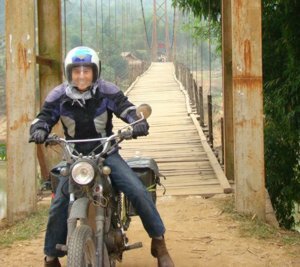 I will definitely do the Laos Ho Trail ride soon. Thanks and best wishes guys.